Expressive Digital Imagery® (EDI) often helps extend treatment beyond clinical settings, supporting recovery for individuals out in the community. 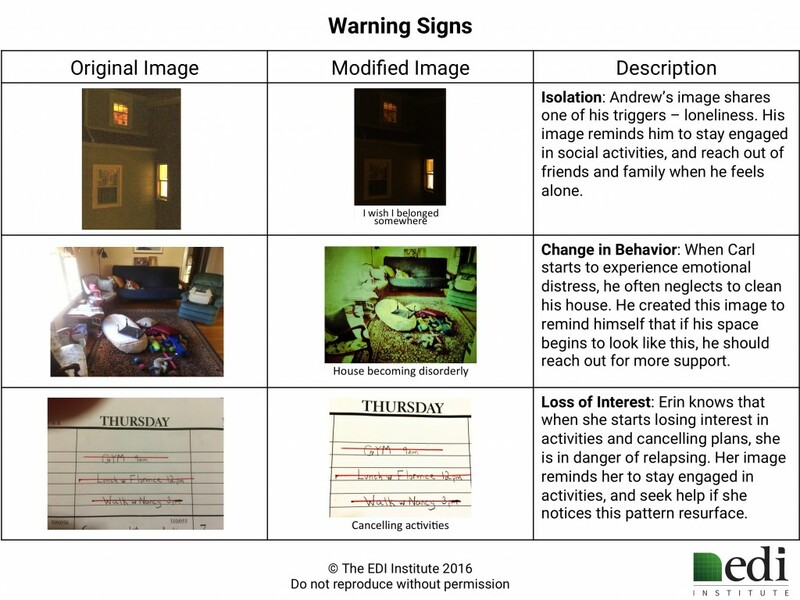 A common theme is the use of EDI to express “warning signs” – imagery serving as active reminders that help improve recovery and resilience. As an example, individuals with bipolar disorder frequently create images expressing signals suggestive of imminent mood shifts. Recognizing these signals promptly is critical in managing manic and depressive episodes, and is something that is often difficult through traditional treatment approaches. 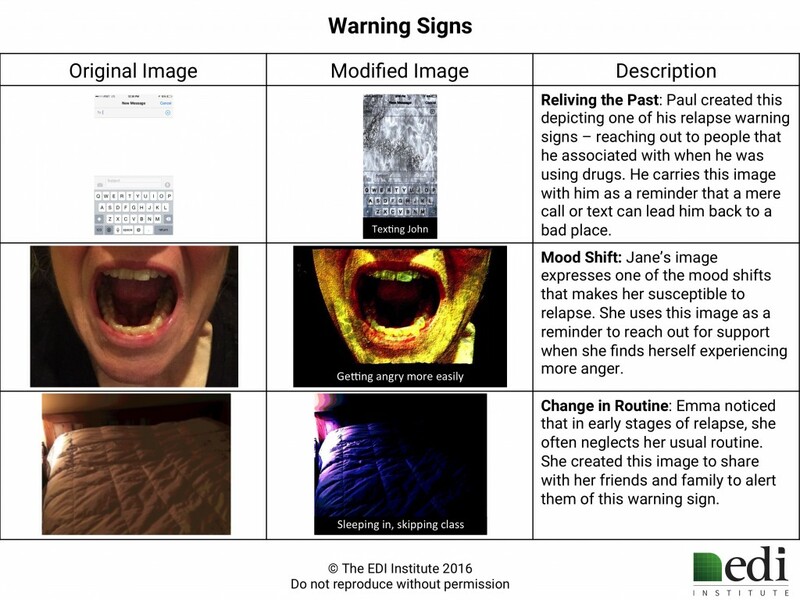 These sample images illustrate actual warning signs expressed by individuals who have used EDI to help manage their mental health.